Need a cure for the common superhero story? 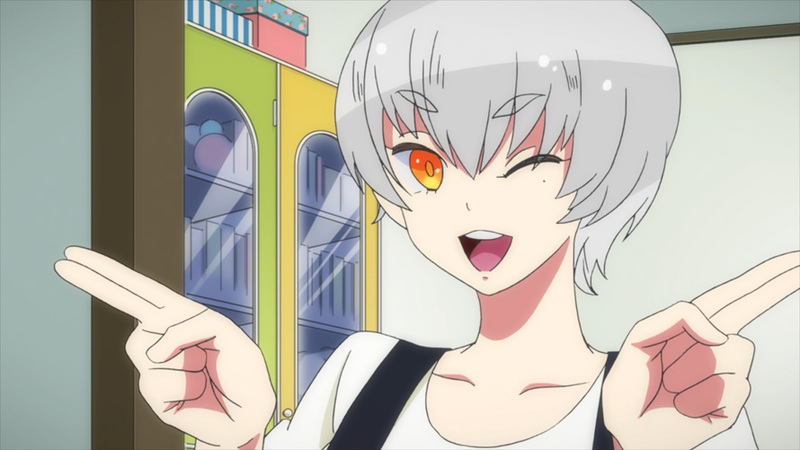 Gatchaman Crowds is definitely for you. 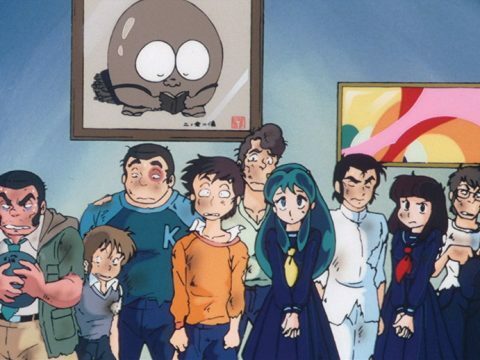 If you grew up with the anime classic Science Ninja Team Gatchaman, or its localized title, Battle of the Planets, you’re likely intimately familiar with Tatsunoko Productions and its cavalcade of popular animated superhero franchises. Perhaps you even caught G-Force: Guardians of Space, the second American adaptation of Science Ninja Team Gatchaman, after Battle of the Planets made its debut. G-Force acted as a more faithful translation of the original Science Ninja Team Gatchaman, bringing the cult hit to a wider audience than ever before. Fast forward from 1972’s initial debut of Science Ninja Team Gatchaman to 2013’s Gatchaman Crowds and it becomes abundantly clear that the times have changed considerably. 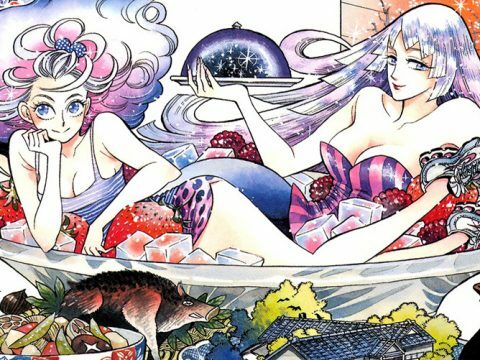 This colorful new take on the iconic 70s anime takes the original show’s story, characters, and even its format and dumps it all out for an exercise in studying what people—heroes, villains, what have you—ick. 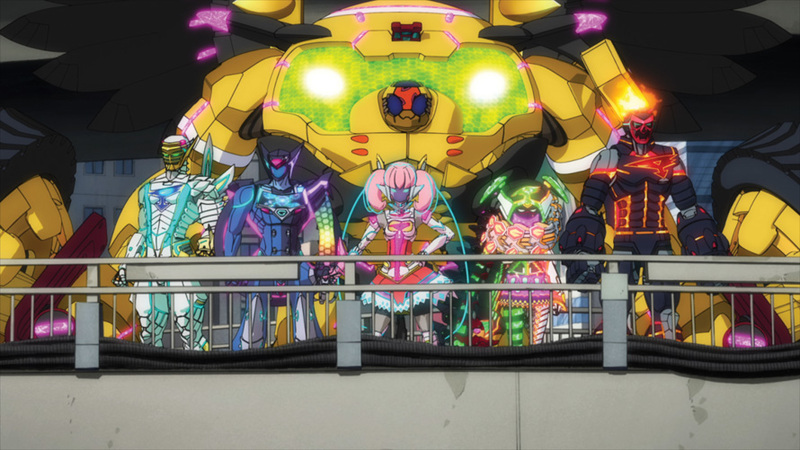 Gatchaman Crowds is not your father’s Science Ninja Team Gatchaman. Before we look at what the veritable reboot Gatchaman Crowds offers, let’s take a brief look at what the original series was all about. Originally, Science Ninja Team Gatchaman revolved around five young superheroes working for the fictitious International Science Organization to oppose an international terrorist organization looking to take control of Earth’s resources. The head of the organization, Berg Katze, is a masked villain working to thwart the team and humanity itself while acting on orders from an alien leader. The Gatchaman team is often dispatched to fight off enormous monsters sent by Berg Katze’s henchman, Galactor, using animal-based mechs. Each member of the team was based on a different type of bird: eagle, condor, swan, swallow, and owl. Aside from a few similar aspects in both shows’ stories, Gatchaman Crowds takes these important plot points and tosses them aside for a fairly hectic and exciting take on the story. 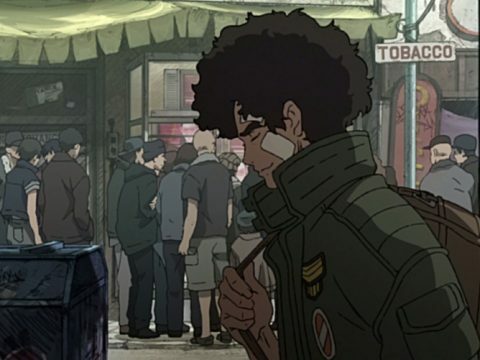 Crowds doesn’t abandon the world-saving premise entirely, but it transforms it and shapes it into something else entirely, eschewing the whole “superhero” theme for more personal anecdotes about people with the backdrop of a superhero and supervillain fight instead. The results are positively entrancing. The series takes place in a world much like ours, with endless superhero worship and those who believe the world simply needs heroes to step in and save people when the stakes get high. To that end, there’s an app called GALAX that was created as a social media network with the goal of essentially ramifying heroism and doing good deeds for your fellow man. For instance, you can ask for help using the GALAX app, and folks nearby are notified that you may be in need. If you complete a mission to aid someone in trouble, it’ll add to your overall score in the app. This helps doctors connect to injured patients, police to victims of crimes, and so on. It’s an intriguing way to help everyday citizens come to the aid of their fellow man, and what the series is based around. This app gives individuals some sort of reward for acting and actually doing something in a crisis rather than remaining helpless “bystanders,” and as such reinforces the idea that humanity can help itself, that there’s a hero in all of us. They’re heroes, of course, like those in the show’s G-Team. As such, Gatchaman Crowds focuses on a few interesting personalities rather than introducing an entire team of them at once. Among the most important is Hajime Ichinose, one of the most unique female characters you will ever find in the realm of anime. She’s bizarre, energetic, and wholly relatable, especially her strange love for stationery and notebooks. Who hasn’t appreciated the smell of a new book or a fresh ream of paper? Hajime is true hero material, right down to her core. To her, heroes are a great thing, but people can simply work together to make changes happen in the world. 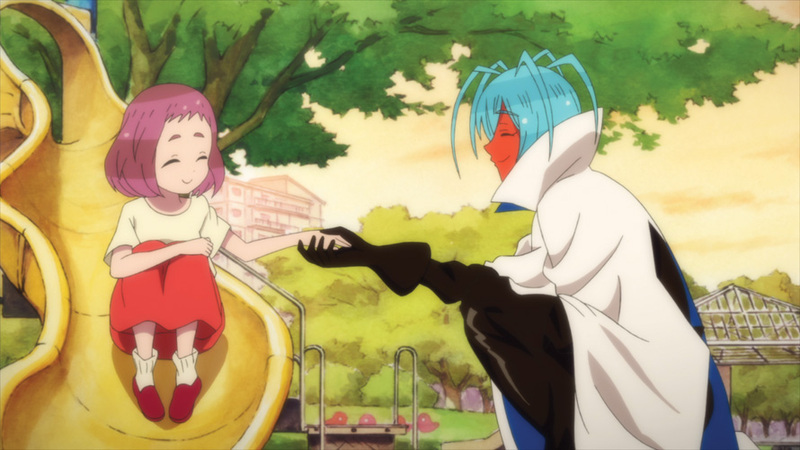 It’s easy to dismiss Hajime as silly or thoughtless when you first meet her, but to do that would rob you of some of the best examples of character growth exhibited in the series. 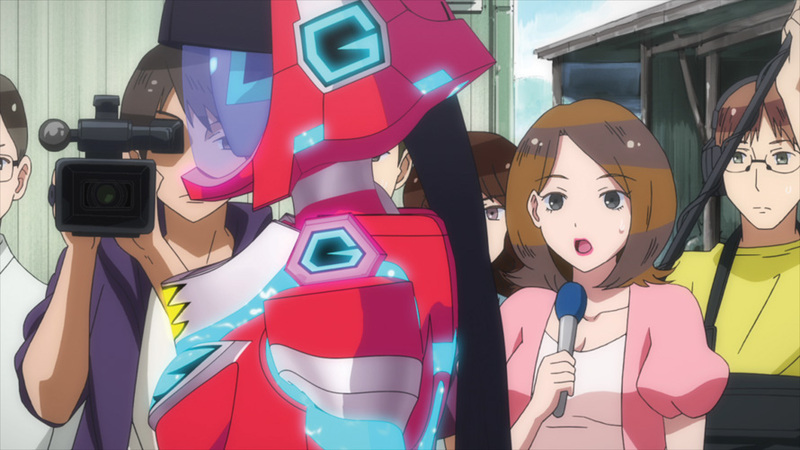 Hajime is scouted by the G-Team, a group of talented heroic individuals selected for their exemplary qualities, to become a hero called a Gatchaman. She receives an item known as a NOTE, which looks like a regular notebook but is in fact that individual’s soul in a physical shape. Hajime joins human G-Team members Jou and Suzanne, as well as aliens OD, Utsutsu, and Paipai, as the members work together to thwart the alien menace MESS. 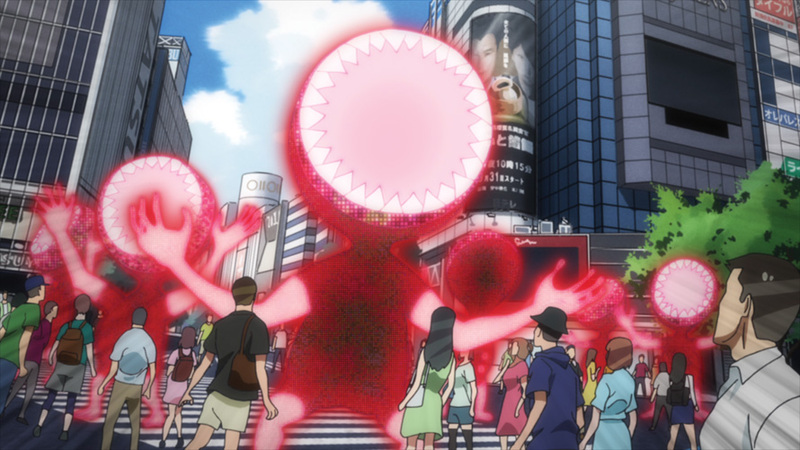 In Rui’s GALAX app, there’s a secret feature known as CROWDS, which grants humans supernatural abilities in physical form that help them carry out various tasks so that they can help their neighbors. 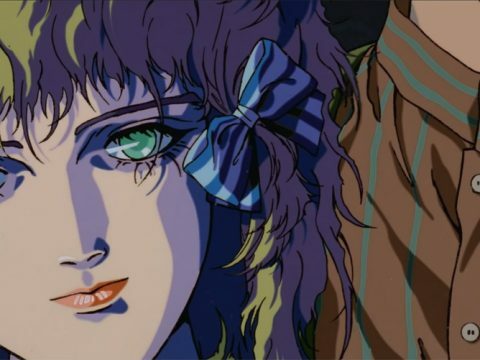 Bad things end up happening when the series’ “big bad,” Berg Katze, infiltrates the system, but typically it can and is used for good, making sure the limited number of those selected to use it are mobilized to create some big problems for society as a whole. No, you’re not seeing things, either. Katze definitely looks a lot like Devilman Crybaby’s reworking of Psycho Jenny. Rui Ninomiya, who seeks to “update” the world utilizing GALAX, is something of a foil to Hajime’s seemingly endless optimism. While Hajime is talkative and spouting nonsense for a good portion of the series, Rui is the more level-headed of the two with different views on what heroism looks like and what the world should do with the GALAX app and the ability to help save others. While Hajime and Rui believe similar things, they use different processes and methods to reach their goals, and each is incredibly interested in the betterment of mankind. Throughout this extremely intriguing character study that just so happens to feature superheroes, we learn a good deal about how the public views working together to solve collective issues and how heroes are viewed within the public’s collective consciousness. This all makes for a beautiful, fast-paced blitz of vignettes that explore different characters’ beliefs, good deeds, and work toward healing the world and making it a better place overall, and isn’t that the core of what a good superhero movie should be in the first place? 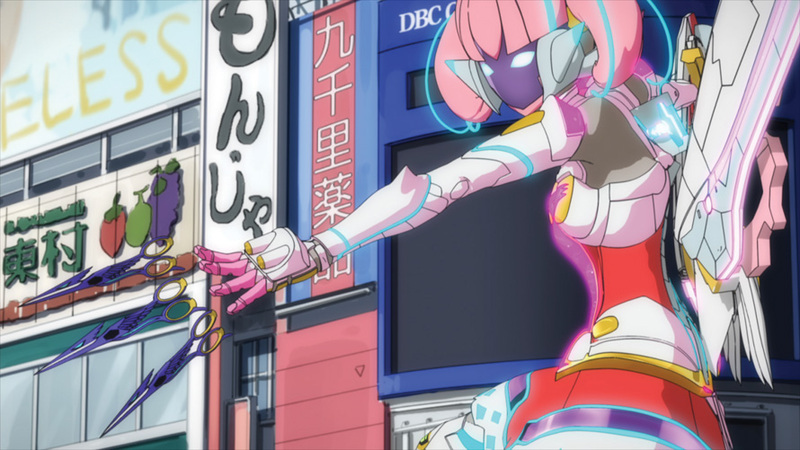 In many ways, Gatchaman Crowds is a completely different beast than Science Ninja Team Gatchaman fans grew up with, or even those of us who caught G-Force in the middle of the night thanks to Cartoon Network’s reruns. 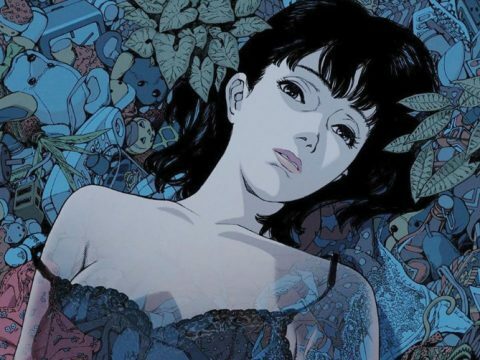 While much of the story is completely different, the core remains the same: Humanity needs heroes, but they shouldn’t (and don’t) always come in the form of the ones you see in movies, comics, TV, and anime. If you missed out on the cult classic Science Ninja Team Gatchaman or its several attempts at localization over the years, it might be time to start fresh with Gatchaman Crowds and its couple of seasons. You’ve got a wide selection of meaningful writing and strong narrative elements waiting for you, and Crowds is the perfect buildup of what the original series dreamt up long ago. 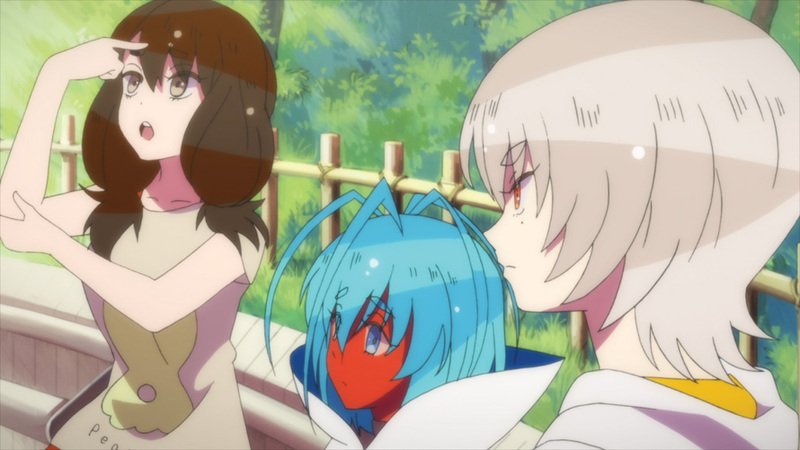 Gatchaman Crowds is available from Sentai Filmworks.